Host Russia have done it. They have exceeded expectations by comfortably qualifying out of Group A after convincing performances against Saudi Arabia (5-0) and Egypt (3-1). Perhaps the only mark on the group stage performances is the 3-0 defeat to Uruguay in which head coach Stanislav Cherchesov had over rotated his side. Overall, the 3-0 defeat to Uruguay will have very little consequence for Russia. Cherchesov knew that either way the Sbornaya would face a tough opponent at the next stage in the form of either Portugal or Spain. 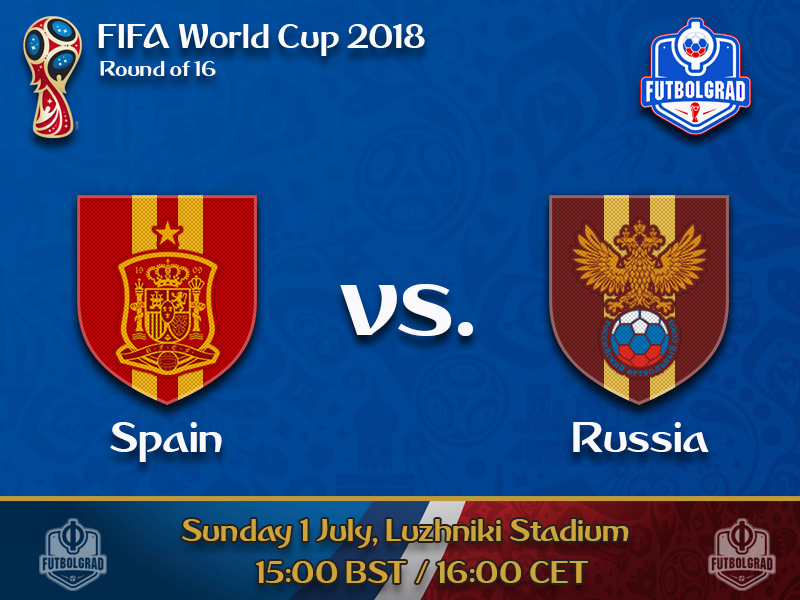 In fact, finishing second might have worked out in favour for Russia as the team will now be able to face Spain at the Luzhniki, in Moscow, where the support for the national team will be much more frenetic than it would have been the case at Sochi, where Russia would have played if they had finished first. Furthermore, there is also a sense that Spain as an opponent may suit the Sbornaya better. “There is always a chance [to advance]. Spain like to open up in the back. Both wing-backs like to rush forward, which creates room behind their backline,” former Russian national team player Sergei Kiryakov told the German magazine kicker. “The home advantage will also play a big role. Remember 2002 when South Korea beat Spain. 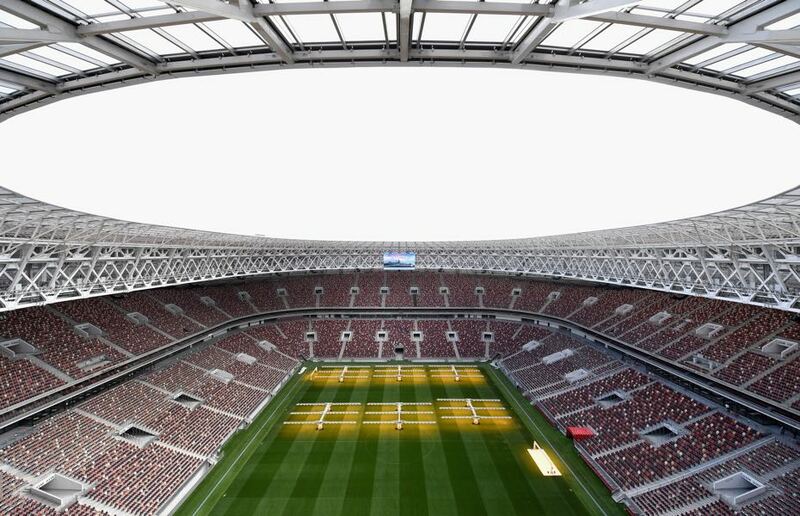 Everything is possible at the Luzhniki,” Kiryakov further added. The home advantage might indeed be a factor. Another factor could be Russia’s extra-ordinary running statistics. Going the distance could also be a factor against Spain a side that likes to circulate the ball in an attempt to physically break down their opponents. That endless ball circulation, however, could be a problem against a side that seems to be in top physical conditions. “We know what the Russians can do”, Spain midfielder Isco told the media after the 2-2 draw against Morocco. “It is a knockout match, it doesn’t matter if you play against Russia or another side,” his teammate Thiago added. At the same time, there are some doubts among the Spain camp following two draws against Portugal and Morocco, and a lacklustre 1-0 win over Iran at the group stage. “We have an atmosphere like we were already eliminated,” Marco Asensio stated this week. Spain head coach, Fernando Hierro, therefore has his work cut out. “We can’t keep going like this. We finished the group in first place, just to name one positive and the round of 16 match will be decided on the field,” Hierro told the press on Thursday. Overall, the results were not convincing adding further hope to the Russia fans, who have finally embraced their side after the Sbornaya beat Egypt on matchday 2. Despite the defeat to Uruguay, there is now a real sense among Russia fans that this national team could stay in the tournament and that big sides like Spain are beatable. To beat Spain, however, Russia will have to execute their game plan much better than it was the case against Uruguay. Squad cohesion and discipline will be the key, as will be a physical presence. Should Russia manage those attributes, a miracle is possible. But in all likelihood, Spain will end Russia’s tournament on Sunday at the Luzhniki. Meeting Spain in the Round of 16 is a similar mismatch, and the hosts are big +285 underdogs to advance (vs -360 for Spain) if you are looking to avail of pre-match odds these sportsbooks reviewed here have you covered for the remainder of the World Cup. Isco was the player of the match against Iran. 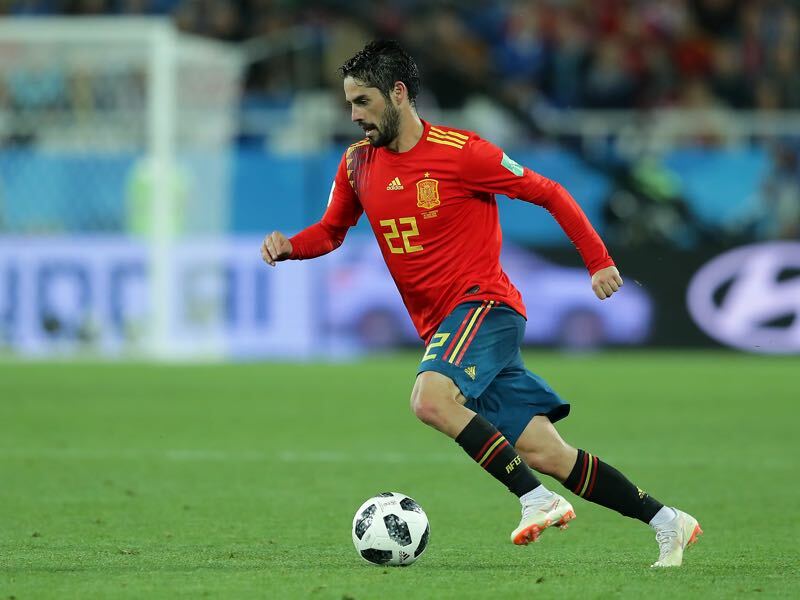 The Attacking midfielder scored the all-important goal to make it 1-1 against Iran, which ultimately was enough to see Spain advance to the next round. The 26-year-old Real Madrid midfielder will now once again be tasked to set offensive impulses against a hard-working Russia side. Aleksandr Golovin did not start for Russia against Uruguay. As a result, the Sbornaya lacked attacking creativity structure in their play. The 22-year-old attacking-midfielder is one of the emerging stars at this tournament and could become the first Russian star to make a high profile move to a foreign club since Andrey Arshavin joined Arsenal in 2009. 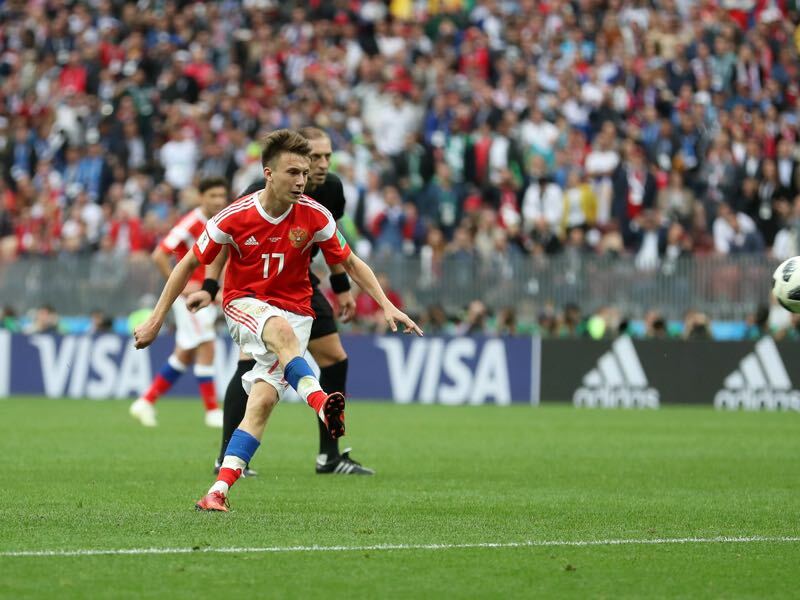 Juventus, in particular, are interested in signing the CSKA midfielder and at this point it only seems to be a matter of the price for Golovin to leave Russia for Italy following the World Cup. Since the fall of the Soviet Union Russia have never beaten Spain (D2 L4). The two countries last met in November 2017, and the match ended 3-3. Spain have scored ten goals in the last three matches against Russia (seven in two games at Euro 2008 and three more in November). Spain are undefeated in 23 games – the longest undefeated run among all the teams taking part at the World Cup. For Russia, this is the first knockout stage match at a World Cup since the fall of the Soviet Union. Overall, Russia only reached the knockout stage only once at a major tournament (Euro 2008 where they lost to Spain at the semi-final stage).